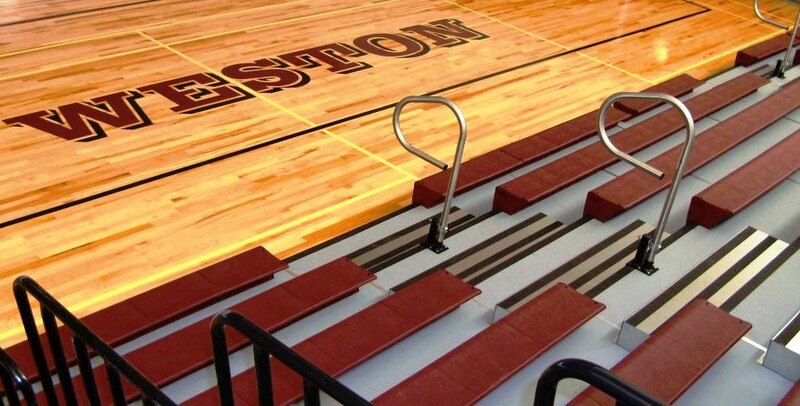 Gym Floor Covers » Royal Stewart Ltd. Sometimes we like to imagine that we're knights sworn to protect your product; shielding it from any scrapes and scuffs that threaten its everlasting beauty. Either that, or we're just a bunch of guys and gals who care about preserving the visual appeal of your gym, and will do whatever it takes to make that happen. 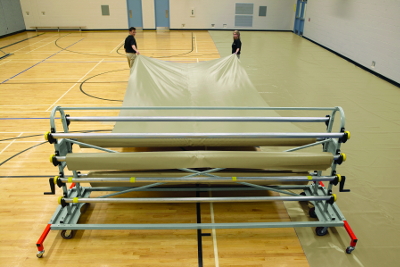 When it comes to protecting your gym against the perils of the sport, don't be a damsel in distress, and instead get the best coverage before it's too late. We collaborate with the most dependable companies in the business to bring you the kind of durable defense you want, and are happy to provide you with information, easy installation, even easier cleaning, and a team ready to come to the rescue should anything go awry. While it may not be fire breathing dragons that can threaten the look of your floor, its shoes, cleats, special events, and sporting equipment that pose the biggest challenge of all. Protect your precious floors with a variety of mats, padding or tiles customized to fit your layout, all designed with the strongest and most cost effective materials on the market so everyone can live happily ever after.